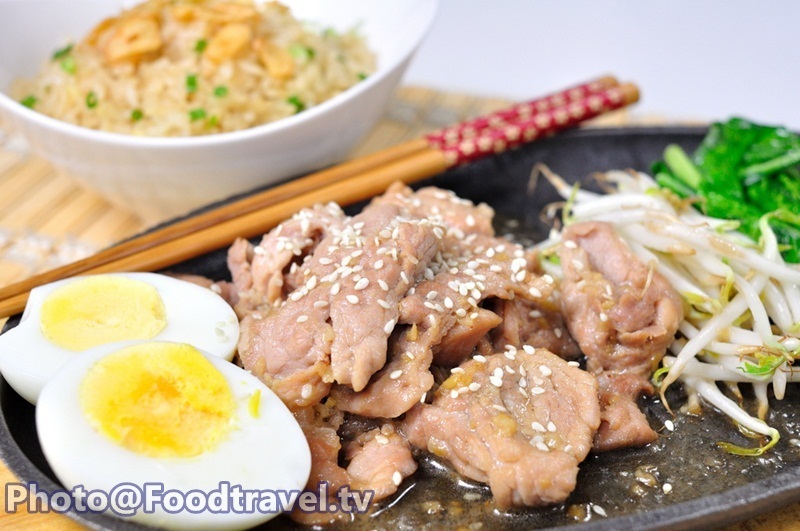 Grilled Pork Hot Pan - Fried pork tenderloin with various spices. Eat with garlic fried rice for more delicious. This is a very simple way to do it. 1. Cut 4-inch long pieces of Chinese mustard green, slice pork into thin piece then marinated with sesame oil, oyster sauce, sugar, soy sauce, bean soy sauce, white sesame and stir well to combine. leaves it for 30 minutes. 2. Pour the oil into the pan. Stir-fried ผักกวางตุ้ง and bean sprouts until almost done. Set aside. 3. Pour oil into the pan. Stir-fried ginger, garlic and fry together. Then add pork to stir until cooked. Add a little water. Stir well and set aside. 4. Roasting pan and heat until hot. 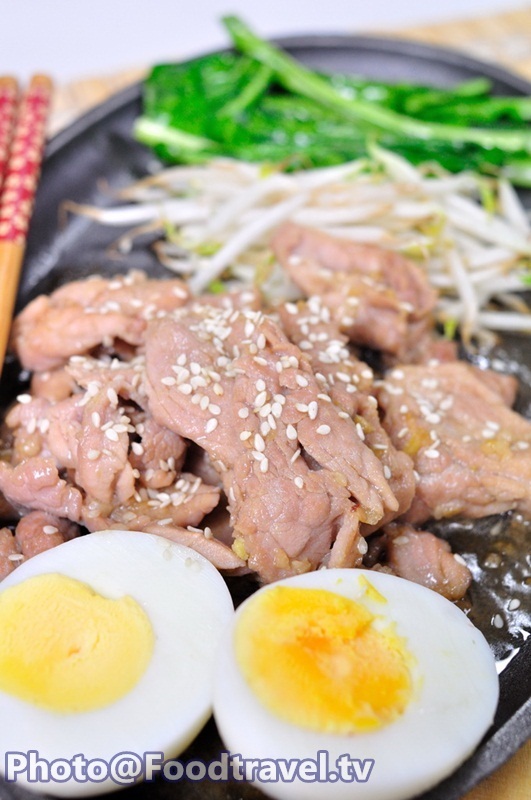 Arrange Chinese mustard green, bean sprouts, fried pork and boiled egg into the pan. Serve with garlic fried rice.